Florida is surrounded by water, but, with current resources, it’s not expected to meet future demands for some 1,100 million gallons a day in Central Florida. So government leaders and landowners are attempting to iron out their differences, among the administrative complications that exist within the separate rules of three Water Management Districts, and find solutions. At the heart of the matter is that ag users can not settle for desalinated water like others can. “Ag has to have really really good water. We want to be sure we’re going to get that quality of water” in order to be able to grow quality food, he explains. The Polk County Water Cooperative is grappling with how to plan for a projected 118 million gallons per day by 2035, with only 72 million supplied by traditional wells, according to its Summit 2017 report. The first phase of the project involving three sites— a West Polk County wellfield, a Southeast wellfield, and Peace Creek Integrated Water Supply— will cost at least $23 million, half to be funded by the Southwest Florida Water Management District and the balance by cooperative participants. As planning continues, a bright spot is a commitment to address problems. “The biggest highlight regarding water for the state . . . is the continuing commitment by the legislature to fund water projects,” says Charles Shinn, director of government and community affairs for the Gainesville-based Florida Farm Bureau Federation. “We in agriculture have extremely favorable working relationships right now with all of the state agencies, also environmental protection, and all of the water management districts,” Shinn adds. In the end, some 3,000 or more acres in private land will be acquired for the project, Shinn points out. Costs were slashed from $4 billion to $800 million. 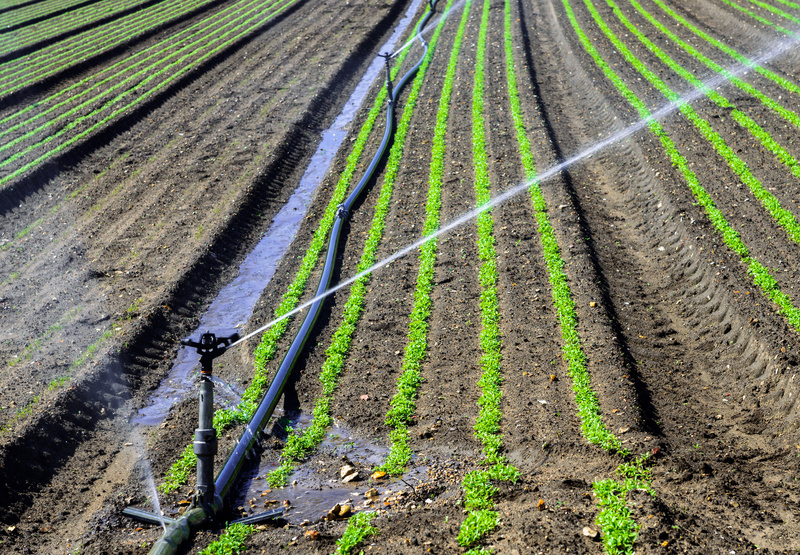 Meanwhile, the state Department of Environmental Protection (DEP) is working on a rule that could affect agricultural users through consumptive water use permits. The DEP could potentially place certain requirements upon permit renewal, including reporting requirements that could be a “nightmare for agriculture,” warns Jim Fletcher, a regional water specialist for the University of Florida’s Institute of Food and Agricultural Sciences (UF/IFAS) in Apopka, who chairs a Florida Department of Agriculture and Consumer Affairs steering committee to provide agricultural input. An August 2 DEP workshop dealt with conservation, with DEP wanting to tie conservation goals to permitting and the ag community wanting to report on goals, he explains. Ultimately, the Everglades and the waterways that feed it are vital to Florida’s water supply. The U.S. Army Corps of Engineers is in the midst of a $766 million restoration project to return the Kissimmee River to a more natural state. Jenn Miller, public affairs specialist for the Corps’ Jacksonville District, says the project is slated for completion in 2020. A portion of the project in Polk and Osceola counties, known as the C-37 Embankment Armoring construction contract, will be let in the fall. “The contract involves placing one-mile of turf reinforcement mat system and approximately 1.7 miles of riprap along the eastern canal of the Kissimmee River,” Miller says. The Corps dredged a canal between 1962-71 to reduce flooding in the area after a public outcry. But, it damaged the river floodplain ecosystem. So far, “continuous flow” has been restored to 28 miles of the river, Miller says. On the federal front, the U.S. Environmental Protection Agency is revisiting a controversial 2015 “Waters of the United States rule” (WOTUS rule) intended to update the Clean Water Act of 1972. “The definition they used greatly expanded the regulatory authority of the EPA and federal agencies onto private lands,” Shinn says. The new proposed rule is open to public comment until August 28. It rescinds the 2015 definition, instead relying on the prior definition until the issue is re-evaluated. More information reguarding the rule is available here: federalregister.gov/documents/2017/07/27/2017-13997/definition-of-waters-of-the-united-states-recodification-of-pre-existing-rules.